An electric power system is a network of electrical components deployed to supply, transfer, and use electric power. An example of an electric power systems is the grid that provides power to an extended area. An electric power system can be broadly divided into the generators that supply the power, the transmission system that carries the power from the generating centres to the load centres, and the distribution system that feeds the power to nearby homes and industries. Smaller power systems are also found in industry, hospitals, commercial buildings and homes. The majority of these systems rely upon three-phase AC power—the standard for large-scale power transmission and distribution across the modern world. Specialised power systems that do not always rely upon three-phase AC power are found in aircraft, electric rail systems, ocean liners and automobiles. 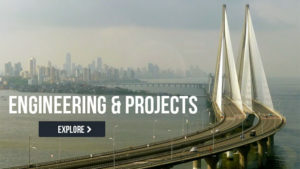 engineering electrical projects Electrical engineering is a professional engineering discipline that generally deals with the study and application of electricity, electronics, and electromagnetism. This field first became an identifiable occupation in the later half of the 19th century after commercialization of the electric telegraph, the telephone, and electric power distribution and use. Subsequently, broadcasting and recording media made electronics part of daily life. The invention of the transistor, and later the integrated circuit, brought down the cost of electronics to the point they can be used in almost any household object.